MPs were voting on whether time should be put aside on Monday for MPs to have another chance to try and find a majority for a Brexit deal. However, after MPs voted 310 in favour of more votes to 310 against, the Speaker was forced to intervene and cast the deciding vote. This meant the amendment, tabled by Hilary Benn, on paving the way for a third round of votes on Brexit alternatives was defeated by 311 voted to 310, majority one. The news follows yet another day of drama for Theresa May. She suffered another resignation from Brexit minister Chris Heaton-Harris, while the powerful 1922 Committee demanded a vote on her future after the Prime Minister handed negotiations to Labour leader Jeremy Corbyn on a plate. News Mrs May is pursuing a ‘Labour Brexit deal’ after the collapse of her own controversial EU agreement that was sensationally voted down three times in the House of Commons sent shockwaves across the Conservative Party. Theo Usherwood, political editor of LBC, tweeted MPs are now demanded a vote on Mrs May’s leadership after much “fury” across the powerful 1922 Committee, adding she cannot be ousted due to a one-year “grace period”. 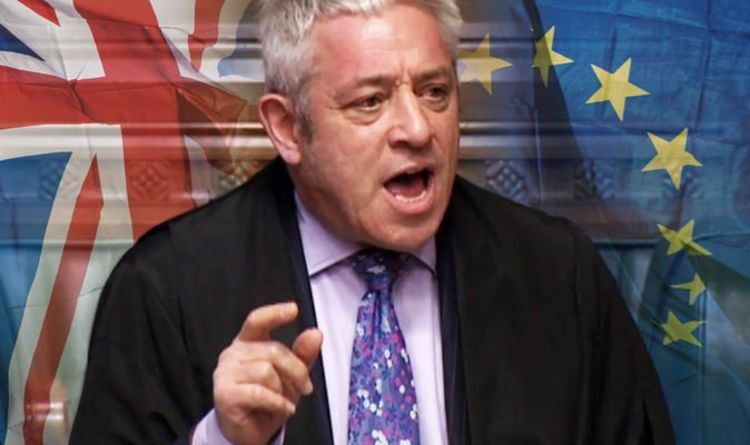 One MP told LBC’s political editor Theo Usherwood there was a lot of “fury” among the party as a result of her talks with the leader of the opposition. Mr Corbyn himself told the Mirror Online their two-hour meeting wen “very well”.